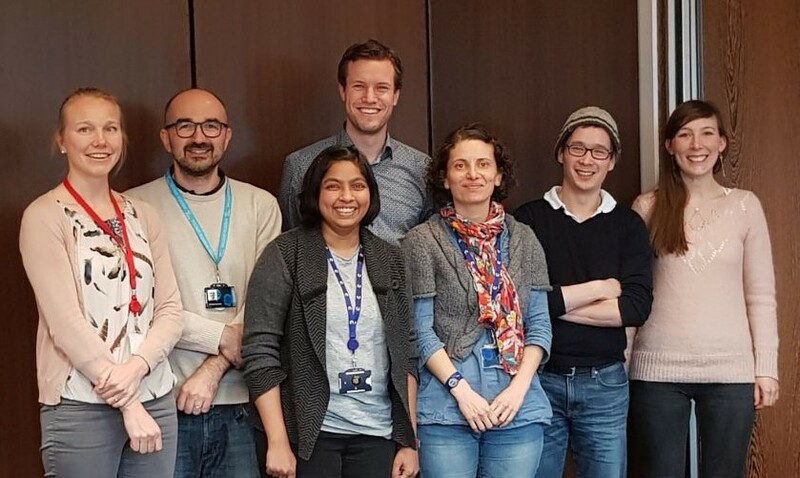 From left to right: Anja Brouwer (visiting scientist), Mirco Petruzzelli (collaborator), Shwethaa Raghunathan (PhD student), Martijn Schuijs (postdoc), Celine Garcia (research assistant), Tim Halim, Julie Stockis (postdoc). The immune system is intricately involved in all aspects of cancer. While many neoplastic cells are detected and eliminated by immune cells, inflammation is also a fundamental driver of tumourigenesis. Our group is interested in understanding the basic immune-regulatory mechanisms in cancer, focusing on a new type of immune-regulatory cell, called the group 2 innate lymphoid cell (ILC2). More specifically, ILC2 are known to directly influence many pro- and anti-cancer immune pathways, making this cell a challenging but potentially important target to investigate. We are using, and developing, cutting-edge reagents to study how ILC2-driven inflammation is involved in cancer. This research will reveal potential new avenues for immunotherapy. Figure 1: Regulation of ILC2 activation and effector functions of ILC2-derived cytokines. ILC2 integrate multiple signals and, although they are primarily regulated by the alarmins IL-25, IL-33 and TSLP, ILC2 activations is also strongly influenced by γc-dependent cytokines, lipid mediators, cell-cell interactions, and cell-surface molecules. 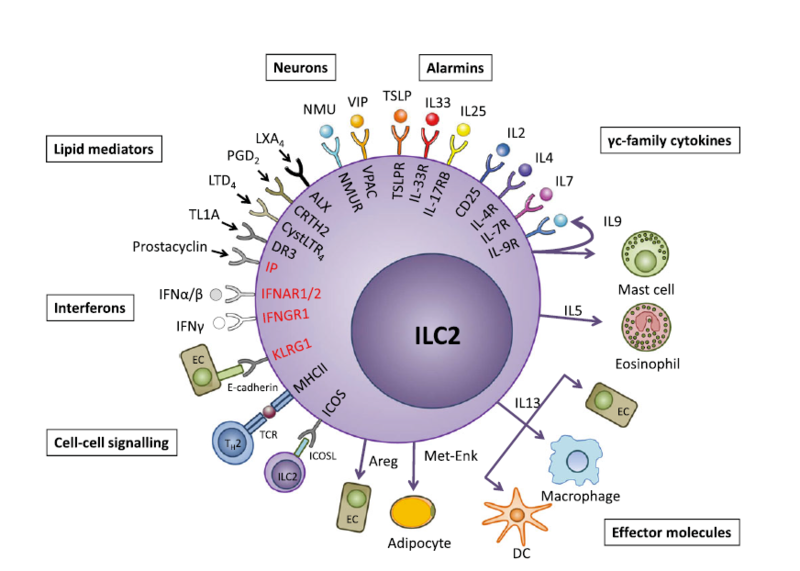 Activated ILC2 are a prominent source of cytokines and other molecules, important for the regulation of inflammation and homeostasis. In red are the inhibitory receptor-ligand interactions. TSLP, thymic stromal lymphopoietin; VIP, vasoactive intestinal peptide; NMU, neuromedin; LXA4, lipoxin A4; PGD2, prostaglandin D2; LTD2, leukotriene D2, Areg, amphiregulin; Met-Enk, menthionine-enkephalin.